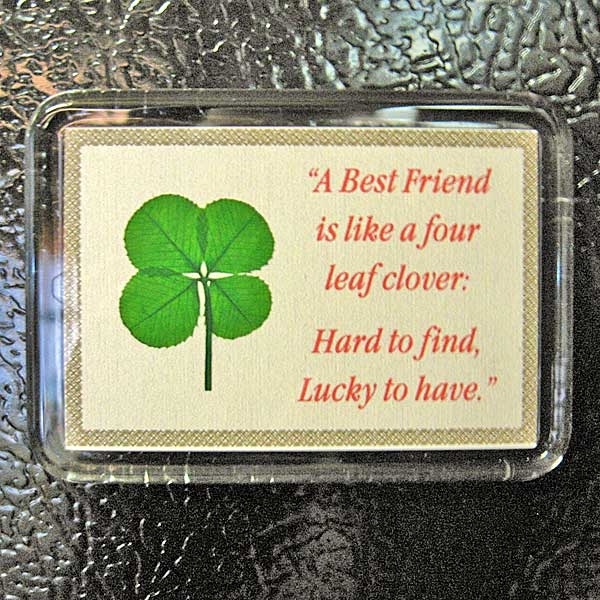 Wish a friend good luck with this genuine real preserved four leaf clover enclosed in a high quality acrylic frame magnet with a best friend sentiment. Frame measures 2.75" x 2" with a full recessed 2.5" X 1.5" strong magnetic back. Will attach to any metal surface. Poly bagged with a clover fact sheet. 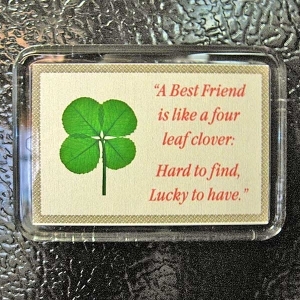 Hard to find Lucky to have."